Welcome to our island, Lesvos. Its landscapes, sceneries, sunsets, will fascinate you. The local people, the flavors and odors and of course the local ouzo, will reveal a different everyday life of Lesvos to your eyes. Ouzo was the reason we created “LESVOS INSIDER” in the first place. Standing on a table full of tasty local dishes, this drink can be on its own, the best writer and photographer for you. Its powers are unique! Besides, behind the “sacred” ouzo – drinking, there are always words of truth, a way of life and an imperturbable way of communication among people. 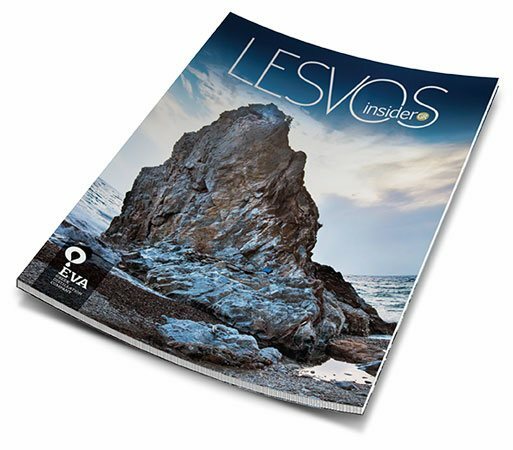 “LESVOS INSIDER”, was created by a group of young people. The whole process took us off our feet, placed us into the position of a guide who shows the visitor around and allows for the latter to discover and admire the obvious but also the most hidden parts of this place and to love it, as much as we do. We hope you enjoy, trust and keep this guide, in your travel collection. President and Managing Director of the E.V.A. S.A. Distilleries.